We continue to be blessed with great favor as we minister in the Capitol. Nearly every day we see God move. He touches people, answers prayer! We’ve had prayer morning, noon, and night! Some days groups come at dawn and pray through the meeting rooms. Most days we’ve had prayer teams in over lunch hour. 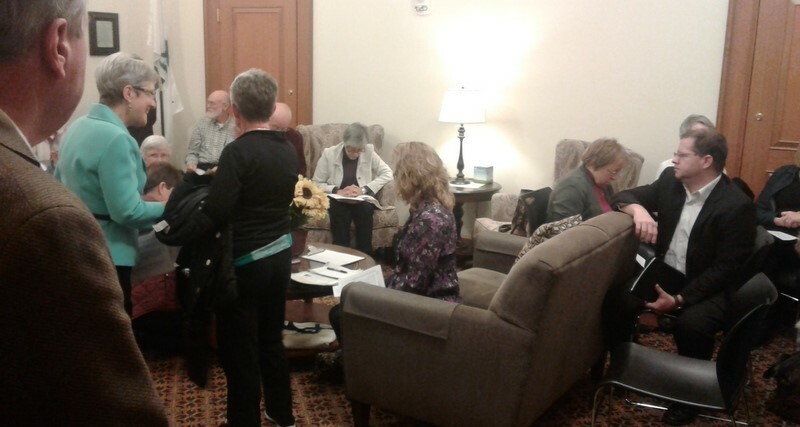 Members of our Kansas prayer team joined us in the audience section at committee meetings. Evenings some of our legislators gathered in the Chapel to pray. Pictured here is a full chapel of prayer warriors! God sometimes blesses them with immediate answers to prayer! Church groups, local prayer teams, faith based organizations, and friends come in to pray for an hour or part of a day. It can be a life changing experience! Pictured here is a State Aglow Prayer Team and leader Vicki Taylor. 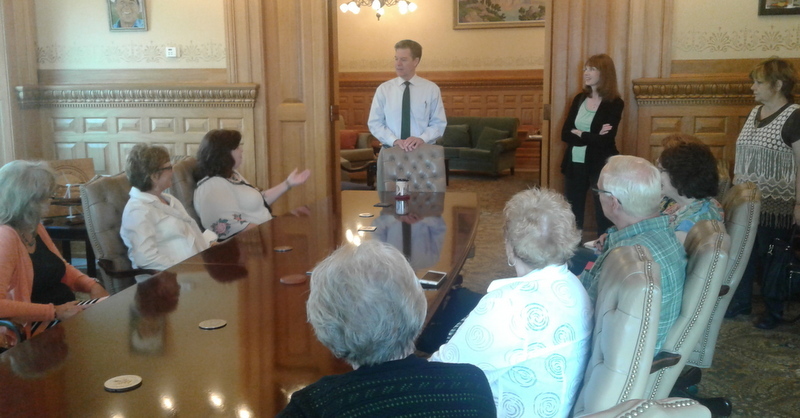 Governor Brownback invited them into his office to thank them for praying. Legislators agree to come together and pray over working relationships and decisions. Representative Randy Powell is serving as caucus leader this year. Using text messaging, the team is alerted and comes together as needed. This may be just after committee meeting or at the beginning or ending of the day. Sometimes there are as many as thirty representatives and senators, but never enough to be a majority of a quorum of a given committee! Pictured are Representatives Randy Powell and Kevin Jones telling a visiting prayer team what current challenges were being addressed! 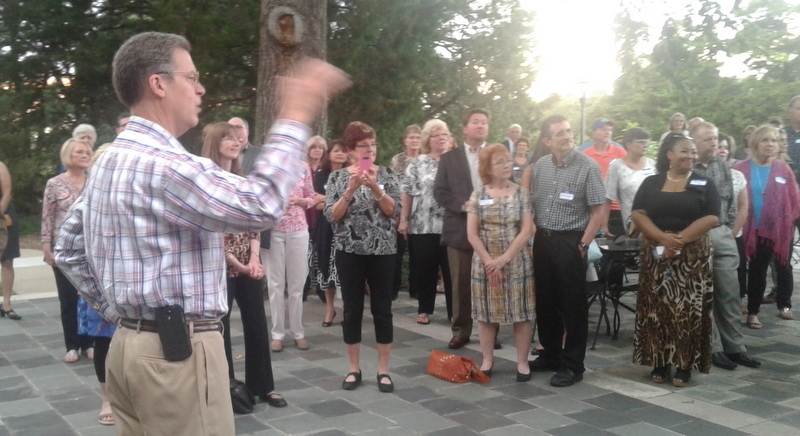 Governor Brownback hosts a reception for prayer team members at Cedar Crest, the Governor’s residence. 133 traveled traveled in for the evening event. In a test of prayer, there was a 90% prediction of rain that afternoon! As requested, God held the shower until midnight! Governor is shown sharing the many miraculous answers to prayer over the year and during his six years in office. 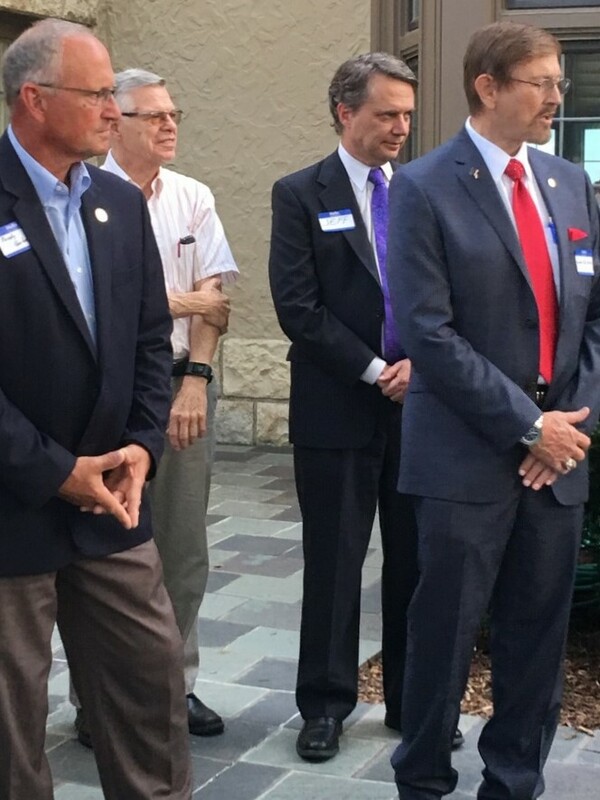 Looking on are Senator Bud Estes, Representative Randy Garber, Lt.Governor Jeff Colyer (and me). You are invited to serve on one of several prayer teams. We also have a couple hundred members on our SWAT -Spiritual Warfare Attack Team. They receive text prayer requests from the Capitol most days. Some require immediate action! Have you thought about being a mentor? 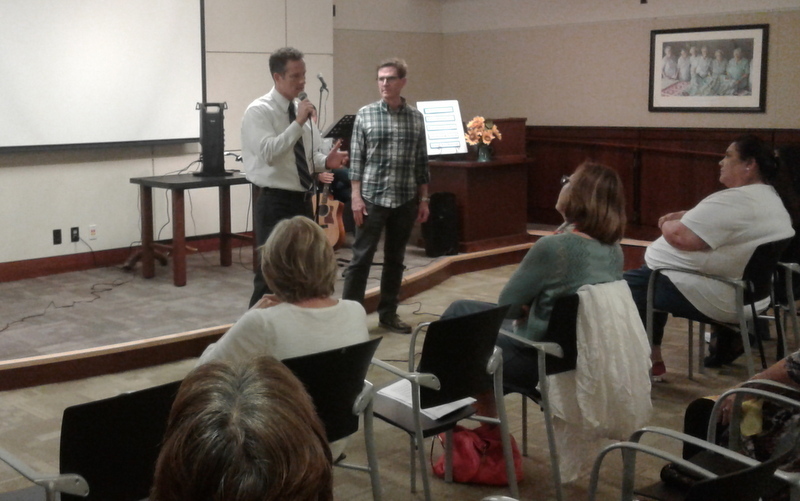 Kansas has 7000 trained mentors, coaching some who are being released from prison and some climbing out of poverty. Governor Sam and I are teamed, coaching a young man off public assistance. Senator Bud Estes and I are teamed with a young man transitioning from prison to economic stability. We are helping a couple individuals while tweaking policy to streamline these transitions for others. Lord bless you for your encouragement and support; empowering me to serve as a full time pastor in the Capitol. Your gifts/donations pay expenses; I do not take a salary. I have been blessed with almost enough support to pay expenses so far this year. I thank God for you and your support (Ruth 2:12).